During Simon’s years of practice at the Bar he has prosecuted and defended enough murderers, armed robbers, con artists and other assorted villainy to provide him with a lifetime of true crime stories. Simon had several books published in the UK and the USA in the 1990s and his short story Split was shortlisted for the Cosmopolitan/Perrier Short Story Award. Four children, two divorces and lots of therapy forced him to spend the next 20 years in full-time practice as a lawyer, but in 2016 he was finally able to retire from the Bar to devote himself to full-time writing. 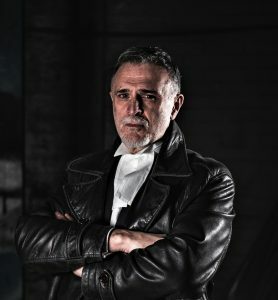 The Brief (September 2015) and An Honest Man (June 2016) are the first two books in the Charles Holborne series, set on the dangerous gangland streets of 1960s London.